Is ROBLOX the Next Minecraft? If you haven't heart of ROBLOX, you're not alone. Most of the users on the "clunky" gaming platform are 8 to 14, and its developers aren't much older, according to the startup. "I think the reason these clunky games are really interesting is that the next generation of games is based on how these things work," David Baszucki, chief executive of ROBLOX, told Press:Here. "We don't want kids to play more video games. We want them to make their own games," he said. ROBLOX operates on a "freemium" model where money comes from in-app purchases, such as gear for one's game character. 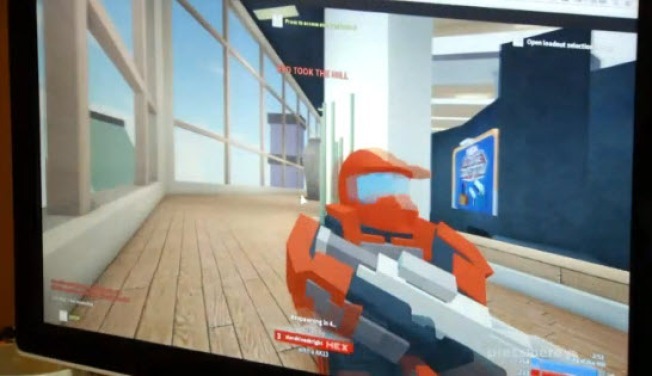 Users can use ROBLOX tools to create games, although there are content restrictions and graphic violence can't really occur. "We don't have guts flying out," Baszucki said. "We have characters that kind of ragdoll apart." ROBLOX also polices its content vigilantly, Baszucki said. "There's a lot of types of content that we won’t allow up onto our platform because it's just too dangerous (and not age-appropriate)," he said. How is it possible no one over age 12 has heard of this blockbuster company? The reality is that ROBLOX games also tend not be very violent. "We have people making games that simulate working at a pizza parlor and we have 50 million plays of that game," he said.